Myself and Ashley where up bright and early on Sunday off to do a hog roast in Worsley for the christening party for Annabelle James. The party was starting at 1pm immediately after the ceremony at the village hall just down the road from the church so we where on site at 8am to make sure we had everything ready for their arrival. We soon had the hog cooking and next job was the kettle on for a nice hot cup of tea. Somehow everything is ok with the world when I have a good brew in front of me. Next job was setting up the village hall with the tables and chairs and getting a tea and coffee station set up ready for everyone after the church I think it will be the first stop. All went swimmingly and the food was very well received with comments like best Worsley hog roast ever we must have got something right. 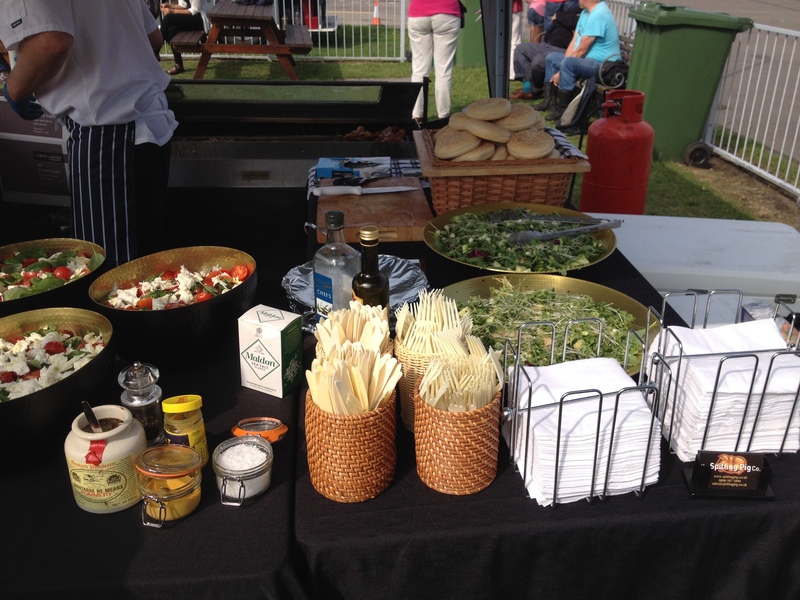 Hog roast Brindle – Perfect end to a summer!